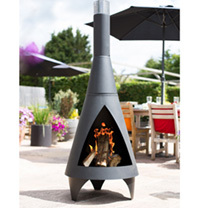 This stunning chimenea is perfect for use all year round and provides you with warmth. It allows you to enjoy watching your garden shadows dancing as the sun goes down. The extra-large steel Colorado chimenea is of an impressive size and the design is modern and stylish. It is the ideal product to add warmth where required in your large outdoor space. This chimenea is sleek, contemporary and cool. The Colorado chimenea makes the perfect addition for any garden or outdoor space. You will be the envy of family and friends with this extra-large chimenea that provides so much warmth and is so modern. Using this chimenea is very simple all you have to do is light a log fire within the mouth of the chimenea, sit nearby and enjoy the radiating warmth and watching the dancing flame within the chimenea. 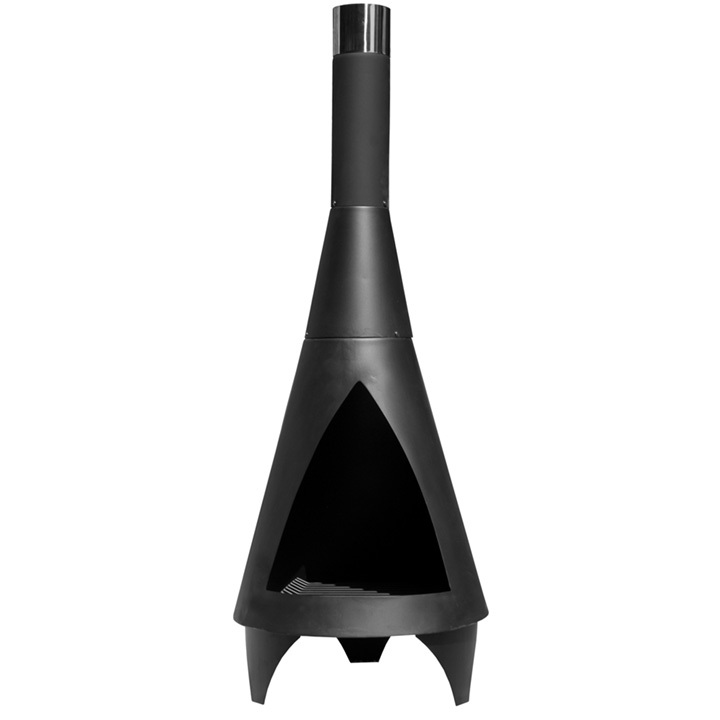 This extra-large Colorado chimenea is produced from heavy gauge steel, making it sturdy and robust it is also powder coated in a matt black high temperature paint and has a height of 160cm and a diameter of 60cm. The extra large Colorado steel chimenea is impressive in size and design and is the ideal product to add warmth where required in your large outdoor space. Buy this simply stunning chimenea now for all year round warmth and enjoy watching your garden shadows dancing as the sun goes down.